When I know I have little time to prep dinner in the evening, I try to come up with a meal that requires almost no work, instead of reaching for a take-out menu. I bought some salmon filets the day before and on the morning of my busy day, I mix together a little marinade for the filets. It took me less than five minutes to do this — I even had time to make some tea before I left for work! When I was ready for dinner, I popped the salmon in the oven and made some rice to go with it. It made for such a delicious and easy meal! Allow for some airflow in the packets by making a tent, not a tight envelope sort of thing. Make sure you pour some of the marinade over the filets before putting them in the oven. You get bonus points if a ton of garlic lands on top! 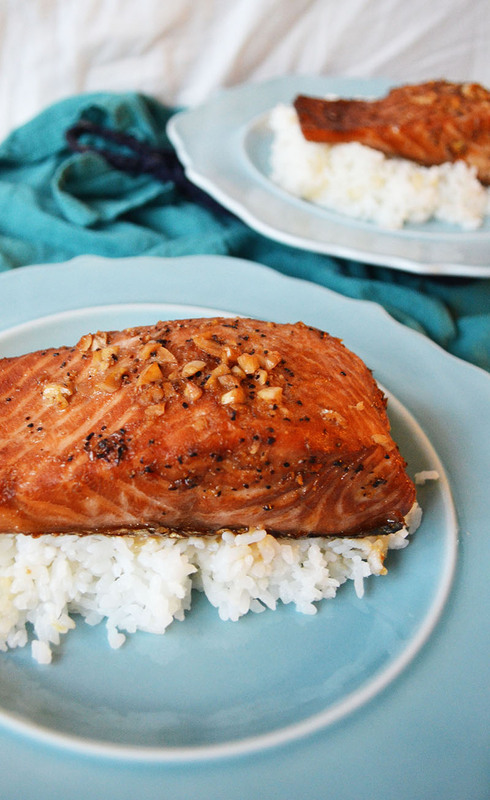 This salmon is soft, buttery, and so flavorful! It goes so well with some rice and makes an awesome dinner. 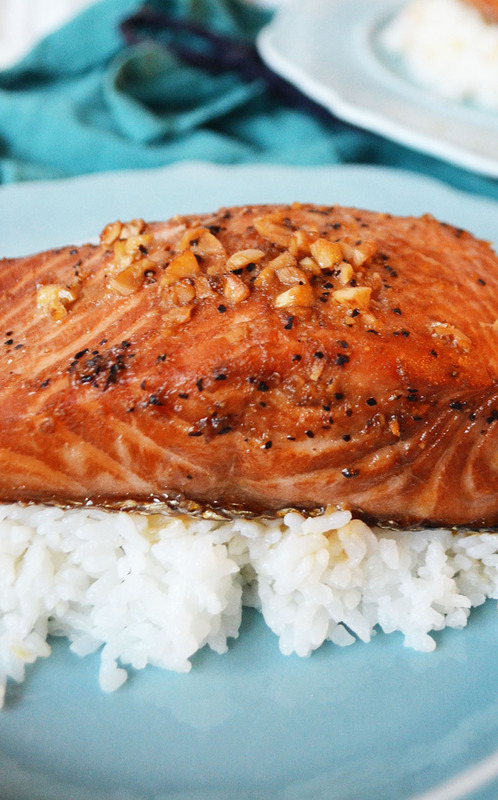 Rinse and pat dry the salmon, then set it aside. Place the salmon in a gallon size Ziplock bag, then pour in the marinade. Remove most of the air from the bag before sealing it. 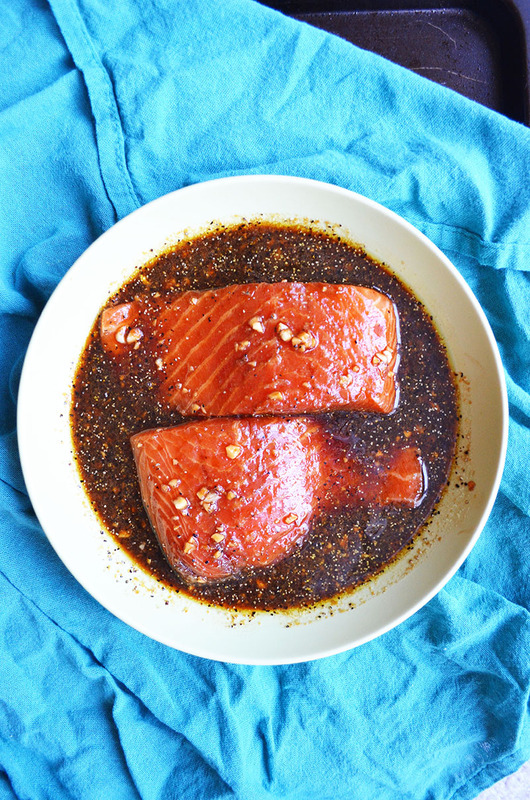 Allow the salmon to marinade for at least 10 hours. 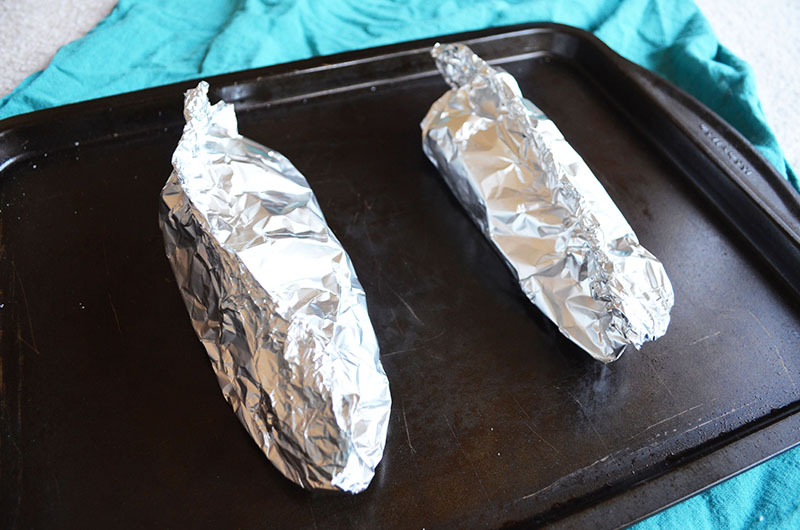 Make an aluminum foil packet for each filet and pour in 4 tablespoons of marinade before sealing the packets. Bake for 20 minutes on a cookie sheet. Plate the salmon and pour the leftover marinade in the foil packets over the filets, then serve. Add 3 minutes to the baking time for each additional filet. This entry was posted in Entrees and tagged seafood.